As America stirs with fear of contracting E. Coli from Romaine lettuce, the CDC confirms the only leafy greens to stay away from are those harvested in California. The CDC as well as the FDA initially advised against consumption of any Romaine lettuce because of increasing reports of illness. Restaurants, stores, and markets abruptly stopped the selling of Romaine lettuce to protect consumers. The supergreen food quickly became unavailable for purchase across the nation. However through investigation they have narrowed down the infected lettuce to be coming just from California. An official number of 43 E. Coli cases, as of November 20, have been reported. People in 16 states have been found with the illness. No deaths have have occurred but 42% of people have been hospitalized. One person even developed hemolytic uremic syndrome from the E. Coli infection, which is a type of kidney failure. This outbreak will change the labels on lettuce and other fruits and veggies. The FDA will be more strict on requiring harvest locations on produce. Specifically for Romaine lettuce, the labels will also tell whether it was grown hydroponically or in a greenhouse. Lettuce without those labels are advised to not be consumed. Lettuce was also the perpetrator in an E. Coli outbreak in Chipotle Restaurants nationwide in 2016. The foodborne illness was contracted in two seperate outbreaks. One resulting in 55 cases and the other resulting in 5 cases. The total of number of hospitalizations from the two outbreaks was 22. For consumers, it is extremely important to be aware of where the lettuce you eat has come from. 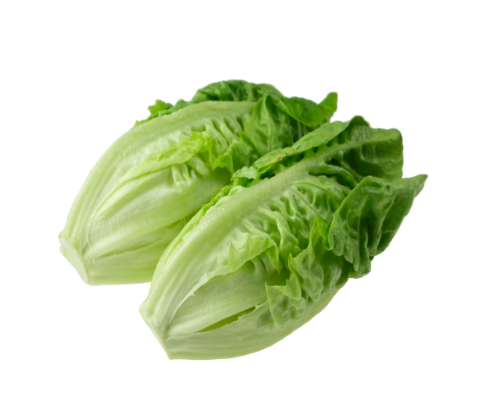 The FDA just announced yesterday that the romaine is now safe to eat in stores; however, take extra precautions to wash lettuce and rid of any harmful bacterias, as you should do with all fruits and vegetables. Make sure to Romaine calm during this outbreak, and maybe even take a break from indulging in your favorite salad for a while for the sake of your health!